After the success of her very first solo and horror movie, Kim Chiu will once again scare and give you laughs as she teams up with Ryan Bang in ABS-CBN Film Productions, Inc. (Star Cinema) upcoming horror-comedy movie entitled, "DOTGA: Da One That Ghost Away"! The movie also stars the "Loving in Tandem" loveteam, MayWard, Maymay Entrata and Edward Barbers. DOTGA: Da One That Ghost Away casts also includes Lassy, Moi Bien, and Pepe Herrera as the Ghost Hunter group members in P.E.K.T.U.S. A few days ago, Star Cinema has released its teaser trailer on their youtube channel. 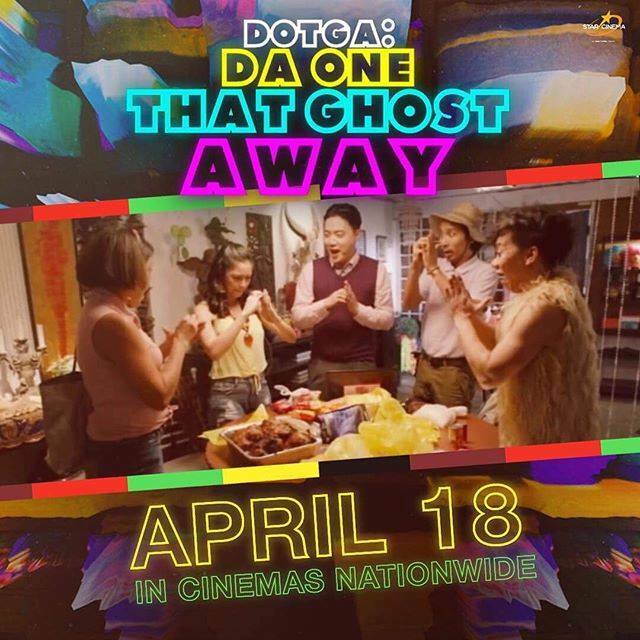 Below is the movie teaser trailer for DOTGA: Da One That Ghost Away, directed by Tony Y. Reyes coming to cinemas on April 18, 2018. Enjoy!